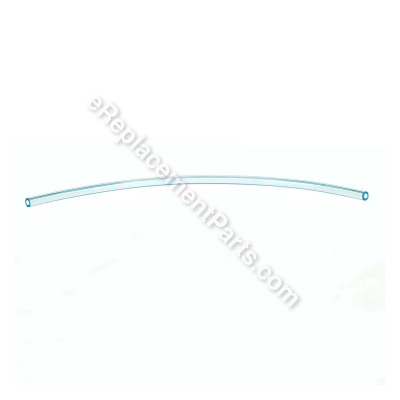 *This part replaces obsolete part #: 791-180243, 791-182495 and 791-181168. What is the I.D. and O.D. size of the return fuel line. Hello LaVerne, Thank you for the great question. The measurements for this line are as follows, ID: 3/32 "x OD: 3/16 " x Length: 2'. Thank you for your inquiry, good luck with this repair! Screwdriver, Star driver, needle nose pliers, side cutting pliers. The primer bulb was degraded and leaking gas. The primer hose to the carburetor was degraded and broken. Other hoses were degraded and brittle. 1. Remove all the torx screws holding the outside covers in place. Remove the left cover. 2. Remove the old primer bulb assembly from the right cover. Disconnect old fuel lines as required. 3. Draw or take a picture of the throttle control trigger in the right cover, then remove it and the cable from the cover. 4. Remove the throttle cable from the right cover and set it to the side. It won't go far because the kill switch is still attached. 5. Removed the gas tank and all old/broken hoses/parts. 7. Install the new return fuel line (mine was blue) on the primer bulb assembly. 8. Cut a bevel on the other end to make it easy to feed it into the side hole on the gas tank. This hose was a little long, so I had to cut about an inch off to make it fit correctly. 10. Install the primer bulb in the right side cover with the short (clear) fuel line to the front. 11. Connect the front line (clear) to the fitting on the intake side of the carburetor. 12. Push the rear line (blue return line) into the hole in the side of the gas tank. 13. Re-install the throttle cable and trigger assembly to the right cover. 14. With the right cover in place, but not screwed down, and without replacing the left cover, add fuel to the gas tank and check for leaks. 15. Press the primer bulb several times to be sure it is operating properly and there are still no leaks. 16. If all is good, replace the left cover and install all the mounting screws. Note: I had not used my blower for about 5 years, so I had to do the fuel/air mix setup found in the manual and replace the spark plug. Runs like a dream and no gas leaks. No fuel getting to the motor; rotted fuel return line. Ryobi edger, around 15 years old. Replacing the fuel return line was fairly simple; lots of on-line youtube videos. Knowing the return line was rotted, I expected the fuel line was bad as well, so I went ahead and ordered it. Good thing as it disintegrated as I was replacing the return line. Getting the replacement line through the fuel tank with the new filter was a lesson in patience. What I wasn't prepared for was the 3d fuel line, from primer to the engine. Most of that line was hidden beneath the cowl cover so I wasn't expecting it. Sure enough, when I finished replacing the first two, the primer line broke off. I did not have a replacement line, but, I had enough of the old fuel line to shave it down and use it as a temp fix. I know I need to replace that line and probably the plastic primer button. Lesson learned...when one line rots, plan on replacing the entire set up. 6) Feed fuel hose down along the wire. Wire acts as a guide to line up the new hose. In fixing my Yardman YM1500 fuel system, I purchased parts from ereplacement. When the parts arrived, I removed the old filter and fuel line by pulling them out with a pair of pliers. I then pushed the new filter in from the inside of the tank,using a screwdriver. Connected the line back to the carburetor. And works like a charm!!! Replaced all fuel lines, fuel filter and all gaskets and diaphragms in carburetor. Filled with fresh fuel and turned over on 6th pull. Pulled old return line out of fuel tank with long nose pliers. Clipped end of replacement line on angle to ease fitting then pushed into fuel tank.